We are dedicated to our customers and respect their needs. 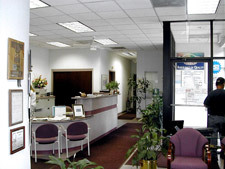 A professional environment and staff will eliminate hassles, and promote quality and convenience. Zoel’s Body and Auto Center is committed to your satisfaction. Our customers are greeted in a clean and attractive environment by friendly professionals trained to assist them in all facets of the repair of their vehicle. CT licensed Appraisers and a Mechanical Service Writer will take the time with each customer to answer all questions and find out how we might serve you best. 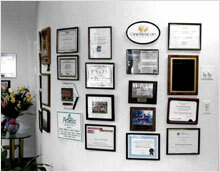 We offer computerized estimates at our facility by appointment. Our insurance claim handlers have working relationships with all insurance companies, which helps to simplify the process for our customers, and facilitate the communication process regarding your claim. We have a key drop available for early-morning or late-evening drop off to accommodate your schedule and not interrupt your work day. Zoel’s Body and Auto Center will set up towing to our facility if your vehicle is not in drivable condition and help you get a rental car as a temporary replacement while your car is in our repair shop. We’ll also provide you with transportation to and from the car rental facility, as well as courtesy transportation within the local area. 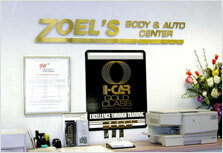 Integrity you can trust is backed by Zoel’s Body and Auto Center’s Written Warranty.